Recently AOL Jobs shared the five most in-demand jobs in the U.S., based on information from CareerBuilder's database. Here's a close look at one of the jobs that has a high demand for workers this year -- truck driver with a commercial license, or CDL. 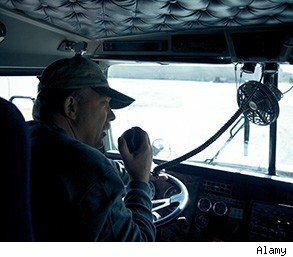 There are 32,000-plus job openings for those truck drivers just on CareerBuilder's database. Having a CDL means that drivers must pass their state's regulatory requirements. 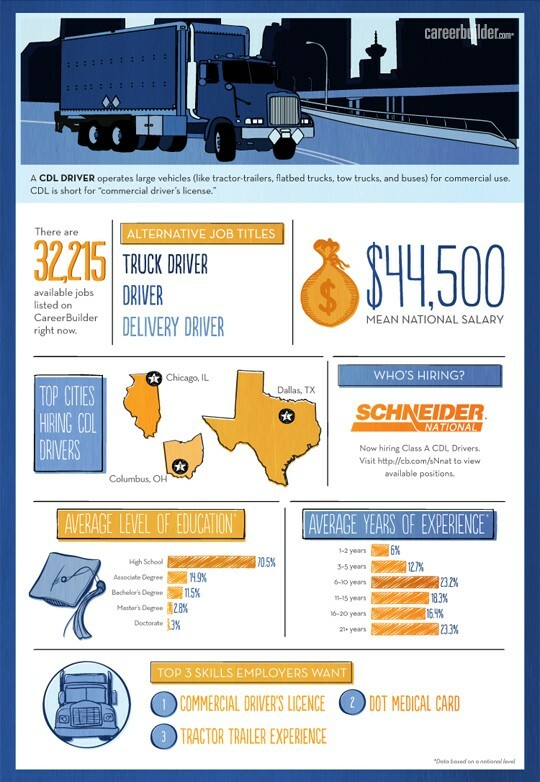 According to CareerBuilder's Supply & Demand Portal, the average national salary for a CDL trucker is $44,500, and the top cities hiring for these positions are Chicago, Dallas and Columbus, Ohio.